Repair your lock, without damaging your paint job. "Great, awesome and outstanding service provider. I fall in love with you, they way you just unlock the almirah. I became fan of yours. Thanks"
"Very friendly and Honest person, he came in the night in no time and he got me in my house, The price was fair up front, very recommended locksmith and professional"
When your car fails it seems to be a situation to call the mechanic. However, when it is the car ignition switch that fails, a locksmith is best. Next we will talk about the benefits of hiring a locksmith to do the job. Some locksmith services even handle roadside repair. If you have another problem, they know what to do. For example, Chiko’s Locksmith is that kind of provider. They are versed in car locks, the electrical system, transponders, and basic roadside assistance. 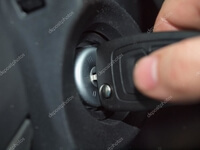 How do You Know it is a Car Ignition Switch Issue? Status 0. Your car is off. Status 1. The electrical system of your car is on. Status 2. The car engine starts working. Whenever you are trying to initiate your car, you get through status 1 automatically. Most of us don’t pay attention to it, as what we need is to get to status 2. However, if your car engine is not starting, check what is happening in status 1. The electrical system should be on. You can confirm it because all the lights on your dashboard should turn on. If they don’t then your car ignition switch is broken. Another sure sign of a car ignition switch problem is to feel the switch zone hotter than usual. This sort of overheat is causing the fault. Call a car locksmith immediately! You will get a fair price. A mechanic may charge you more for the same service. Mechanics usually look for other issues first, and the repair may take longer than with a locksmith. You can ask for other services such as a spare key, your keys reprograming or a full reset of your car’s security system. A locksmith usually gets to your current location faster than a mechanic. A car locksmith can handle basic roadside repair if needed. A car locksmith has spare parts for the car ignition switch, while few mechanics have them on stock. They know the urge of onsite repairs. A mechanic usually schedules an appointment to their shop, while a locksmith solves the problems onsite. In conclusion, you are getting a faster and more reliable service with a locksmith than with a mechanic. 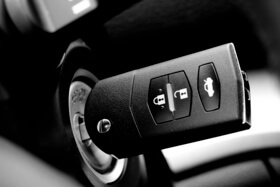 Your car ignition switch will be up and running in no time with the right car locksmith in charge. Chiko’s Locksmith can handle the challenge, and assist you further if needed. Read more about locked out of car services.